Getting a tattoo can be a painful process. My friend, Sara recalls when she first got a tattoo and admitted to “screaming like a baby”. She has since gotten her tattoo removed. But, if it’s so painful to get a tattoo, it makes one wonder why people do so in the first place. So, this week, I decided to ask around. Michael, however, is looking forward to undergoing a laser tattoo removal procedure in the near future. Having recently secured an acting role that requires him to show some skin, he is currently sitting in make-up for hours trying to get his arms and shoulders properly covered up. Michael is far from alone. 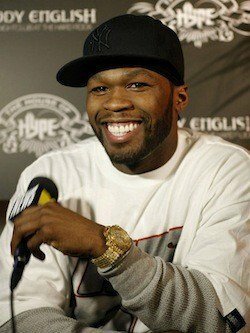 Rapper 50 Cent who is also professionally known by his real name, Curtis Jackson can surely sympathize. If you were weren’t aware, Jackson uses his real name when being credited for his acting roles. The name change, however, isn’t the only thing that Jackson has decided to do to forward his acting career. Like fellow musician-turned-actor, Mark Wahlberg and many others no doubt, Jackson has gotten a number of his tattoos removed. On People.com, he explains the perils of being an actor with tattoos and why it was necessary for them to be removed. Like Michael, and Wahlberg before him, the story involves a grueling make-up process. Speaking about the decision to remove his tattoos, Jackson said, “It cuts down on the amount of time I have to spend in makeup covering them up.” Having worked with such actors as Al Pacino and Robert DeNiro, there is no doubt that Jackson is taking his career as an actor seriously. Of course, not all of us are born to be actors. But, perhaps, stories like the ones told by Wahlberg and Jackson are important ones for us all to consider. Tattoos are, after all, permanent markings on our bodies that may not belong there for the duration of our lives. For more information on laser tattoo removal, be sure to contact a physician or skin care specialist near you.